MM Industries offers customized stainless steel pressure storage reservoirs for air and water, manufactured in compliance with the European Pressure Equipment Directive 2014/68/EU (PED). We guarantee top quality product and service to both large and small size manufacturers of hydraulics and pneumatics applications, food and drink manufacturing industry, petrochemical industry, oil industry, pharmaceutical industry, dental industry, compressed-air industry, firefighting industry, shipbuilding and automotive, industrial automation and packaging. We join forces with our customers to realize custom designed parts, components and metal fittings for their commercial or industrial applications. Some examples: air compressors tanks, steam boilers for coffee machines, drinking water storage tanks, vessels for fire extinguishers, compressed air receivers, vaporizers, nebulizers, autoclaves, heat recovery systems, air to water heat pumps, air brakes tanks, dental sandblasters. The benefits and features, both mechanical and aesthetic, of stainless steel are commonly known. We use AISI 304, AISI 316 and AISI 316L, due to their high resistance to corrosion, ease of cleaning and hygienic properties, wide temperature range, non-magnetism. Making use of the latest stainless steel processing and finishing technologies allows to reduce production lead time and costs, enabling us to sell our products at very competitive prices compared to same products but made out of lower performing, less attractive and without professional-looking materials. PED certified stainless steel fire extinguisher cylinders designed and welded according to European Standards EN 3-7, then tested to meet EN 3-8 Standards. 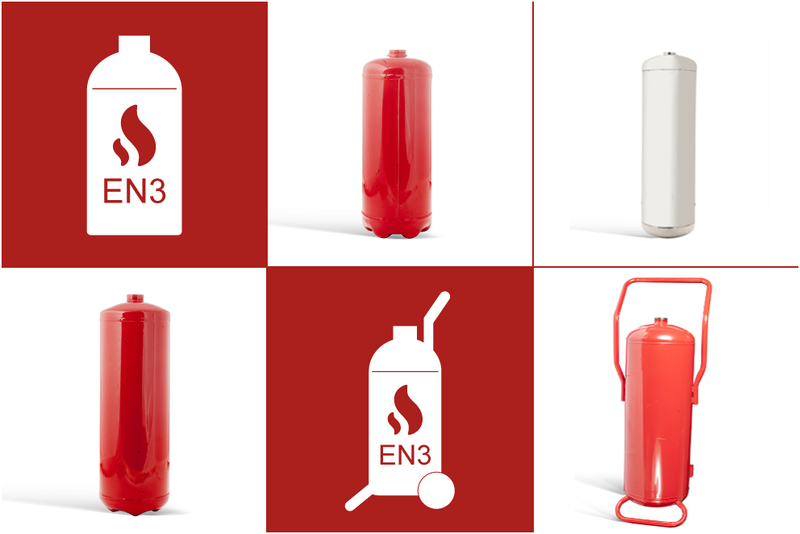 Perfect choice for light-weight, non-magnetic, long-lasting fire extinguishers. Stainless steel pressure vessels for the production of hot water and steam for espresso coffee machines and hot beverage vending machines. 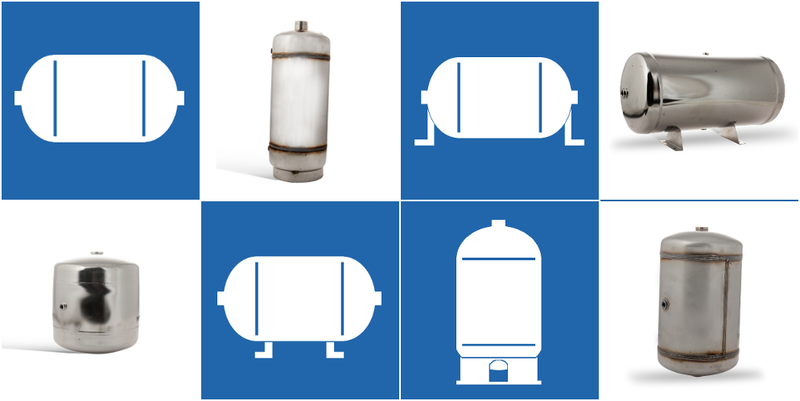 Small to medium sized all-purpose cylindrical pressure storage tanks. Wide range of application possibilities due to high construction quality, additional surface treatments, custom-designed fittings and accessories. They can be used to store and dispense drinking water and liquid foodstuffs. Sign up to keep up to date with all our news and promotions!